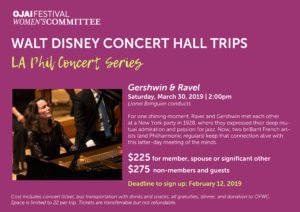 Cost includes concert ticket, bus transportation with drinks and snacks, all gratuities, dinner, and donation to OFWC. Space is limited to 22 per trip. Tickets are transferable and not refundable. 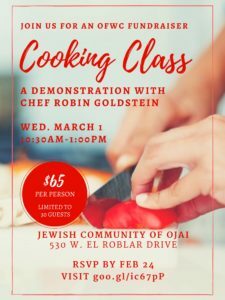 Come join Chef Robin Goldstein as she demonstrates and shares her cooking wisdom and tastes of her Moroccan inspired menu. All menus are subject to slight changes depending on seasonal availability. Each participant receives recipes and a tasting of the foods prepared. 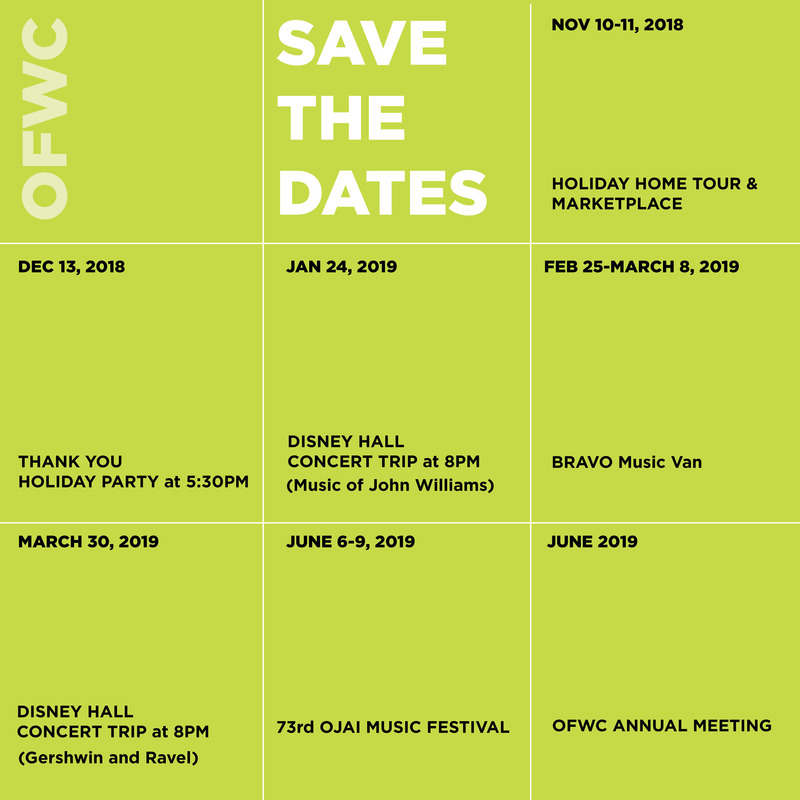 OFWC member, Robin Goldstein is a California chef who works her culinary magic combining unique flavor and spices with local seasonal produce and product, to create an unforgettable culinary experience for the palate and on the plate, in private homes and public venues. California-Mediterranean cooking style, with an emphasis on Middle Eastern flavors. 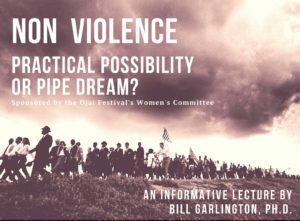 Nonviolence: Practical Possibility or Pipe Dream? The discussion will begin with a brief examination of theories that attempt to explain the genesis of human violence. It will then turn to an examination of the philosophical foundations of non-violence followed by historical examples of non-violent implementation (Mahatma Gandhi, Martin Luther King Jr., Nelson Mandela, and Abdul Ghaffar Khan). It will conclude with a discussion of the practical possibilities and challenges of a non-violent approach to conflict. Bill Garlington, PhD, has B.A. and M.A. in History from UCLA, and a PhD in Asian Studies and Sociology from the Australian National University. He has taught at all academic levels on three continents and carried out sociological/anthropological fieldwork in India. His main academic interests are the Sociology of Religion and the History of Ideas.